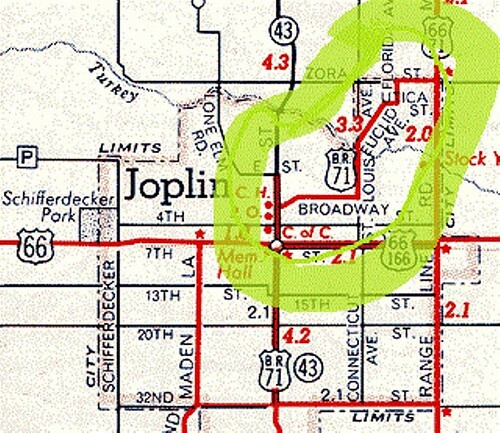 I have always wondered why Route 66 took such a circuitous path through Joplin. Coming in on West Seventh, it made a sharp turn left onto Main, then headed east on First over the viaduct. It continued on Broadway, turning north on St. Louis; after crossing Turkey Creek, it took off at a 45-degree angle on Euclid. It went a couple of blocks on Florida, then right on Zora and left on Range Line. If it were not for the fact that Route 66 was built during Prohibition, one might wonder if the cartographers had been a little tipsy! 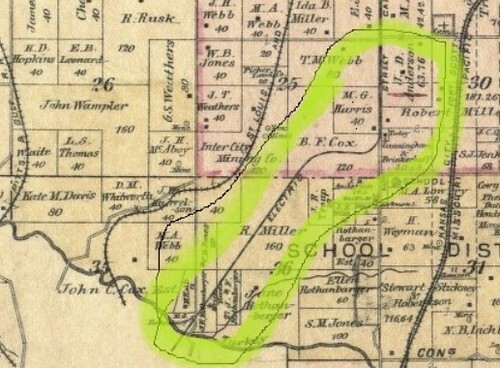 Recently I was looking at some old plat maps of Joplin, and I noticed something. The Southwest Missouri Electric Railway, an electric streetcar that was established in 1893 by Alfred H. Rogers, took an identical 45-degree angle after crossing Turkey Creek in its route from Joplin to Webb City, Carterville, Lakeside Park, Carthage and other points east. The trolley line angled through Royal Heights, a separate village that had incorporated in 1907. Eureka! This information may be common knowledge, but since I did not know about it, I was excited to figure it out on my own. Today many Americans, unless they live in an urban metropolitan center, have little interaction with the country’s rail system. Once in a while, one might find themselves stopped at a railroad crossing watching a train roll past, but gone are the days when the train would stop at the town depot to take on coal, passengers, mail, and freight before heading to its next destination. Peruse an old Joplin newspaper and ads from the St. Louis and San Francisco “Frisco” Railway touting summer excursions to Eureka Springs, St. Louis, and Chicago spring from the pages. Joplin was fortunate that it not only had an extensive interurban trolley system, but was home to a handful of rail lines that carried lead and zinc to industrial centers in the east. The trainmen claimed that the “harmless hoboes who would go out of their way rather than harm a human being are very much in the minority.” Instead, many trainmen told the Globe reporter that they had engaged in “hand to hand fights in an effort to rid the train of them.” Many of the fights broke out during the night when hoboes boldly roamed the rail yards in groups of four to six men. 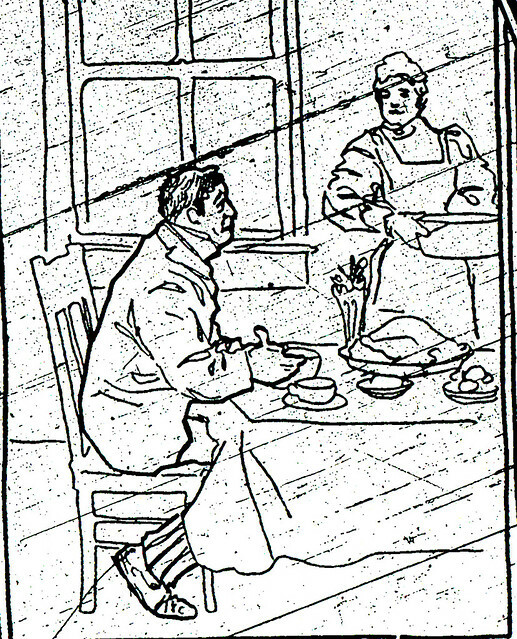 Sometimes a hobo succeeded in getting a free meal. The officer admitted there were too many hoboes and not enough room in the jail to house them. He worried they would be “working the residence district for grub, hand-outs, punk, pie, panhandle, pellets, and any old thing they can get together.” Once they had food, Milligan claimed, the hoboes would “feed and gorge and lie around there like fat bears dormant in the winter time” until a bout of bad weather would send them on their way. Five years later, the Joplin News Herald interviewed a railroad employee about the tramps who traveled through Joplin. Watching a couple of hoboes jump off of a freight train in the Joplin rail yards, the railroad employee remarked, “See those fellows getting off up there? Now there is no telling where they got on, nor where they rode.” He shook his head. “There’s another thing connected with this hauling of tramps. Some of the most notorious criminals of the country have occupied places on the train and eluded the crew for hundreds of miles.” According to the man, rail workers made every effort to assist law enforcement officers in locating wanted criminals who might be catching a ride on the trains. Joplin was still struggling with hoboes eleven years later when Chief of Police Joseph Myers directed his officers to sweep the town for any weary willies. Six men were arrested on charges of vagrancy, jailed, and then told to move on. 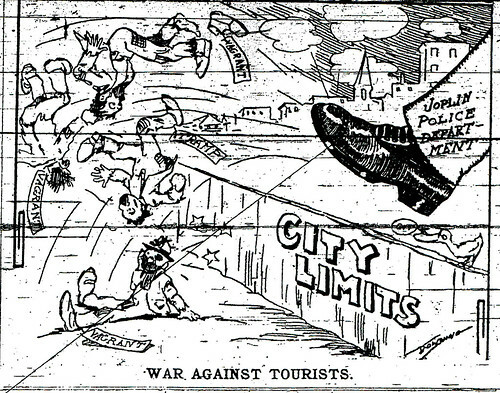 But as long as there were trains rolling into Joplin, there were always tramps and hoboes to contend with.